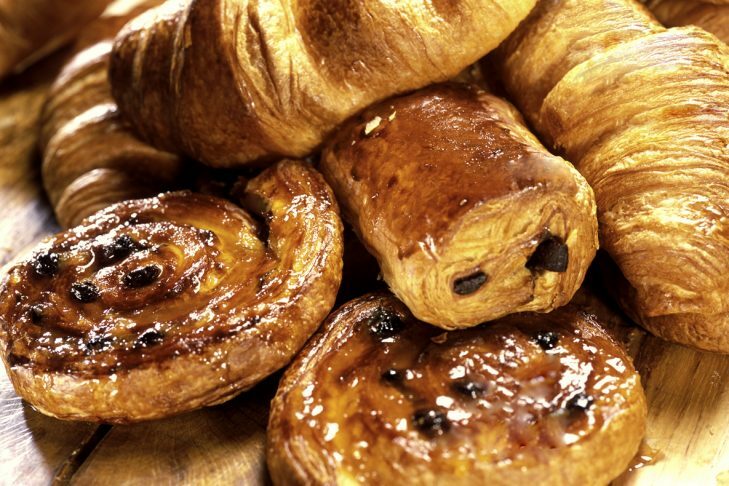 There is one thing that the French do very VERY well and that would be pastries and desserts. 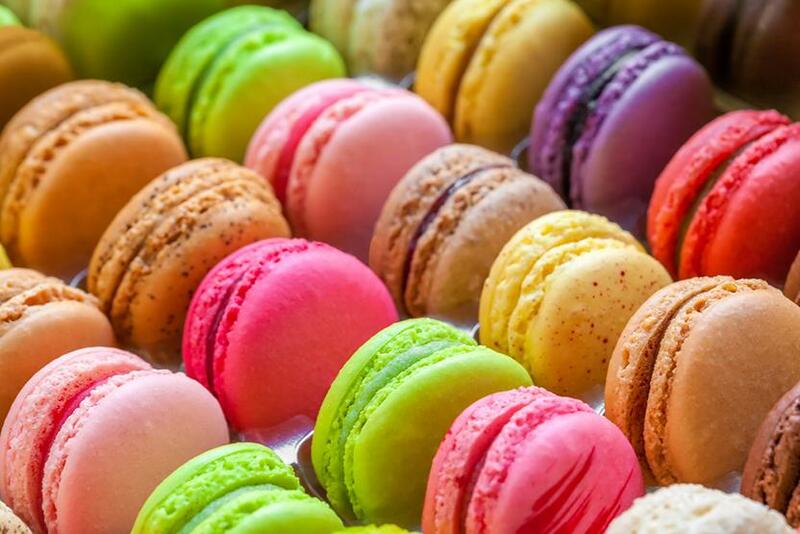 It doesn’t get much better than croissants or macarons, in my opinion. I love a good old fashioned American chocolate chip cookie just as much as the next person but I would probably take a french pastry over a cookie almost any day. My husband was getting ready for administration appreciation day at work and asked me if I could make a french pastry called pains au chocolat for the ladies at his work. One particular friend mentioned it was her favorite thing ever so we thought that would be fun to surprise her. I don’t believe I had ever had this particular pastry so I was a little scared to make them. I found a very easy and extremely highly rated recipe from Epicurious and went for it. I will say I had one tiny little hiccup on the way. Note to self: (and to you so you don’t make the same silly mistake)--I went to Trader Joe’s to look for a couple of the ingredients and the recipe calls for puff pastry sheets. I could only find phyllo dough and was under the impression those are two interchangeable and are the same thing. Wrongo! I bought four packages, went home and started on the my pastries only to realize phyllo dough is NOT the same thing as puffy pastry sheets so I have 4 boxes of phyllo dough still in my freezer and I have no idea what to do with it. Anyone have any ideas? Anyway, you basically just cut puff pastry dough into little squares, add a piece of quality dark chocolate in there, roll it up, add an egg wash, sprinkle sugar on the top and bake them for about 15 minutes. Easy peasy. The good news is they turned out amazing! I give them two big thumbs up! My husband’s friend claimed these were better than any that she had in Paris--so take that for what it’s worth. Like I said, I have never had these before, let alone in Paris, and maybe she was just being nice, but you’ll have to try this fun, easy recipe yourself to see. Line baking sheet with parchment paper. Brush top of each puff pastry square with egg glaze. Place 1 chocolate piece on edge of 1 pastry square. 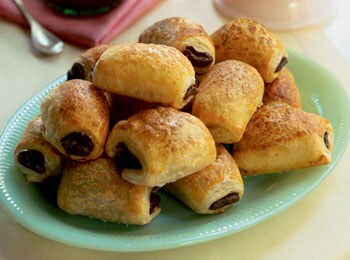 Roll up dough tightly, enclosing chocolate. Repeat with remaining pastry and chocolate. Place pastry rolls on baking sheet, seam side down. DO AHEAD: Can be made 1 day ahead. Cover pastries with plastic wrap and refrigerate. Cover and refrigerate remaining egg glaze. Preheat oven to 400°F. Brush tops of pastry rolls with remaining egg glaze. Sprinkle lightly with sugar. Bake until pastries are golden brown, about 15 minutes. Serve warm or at room temperature.